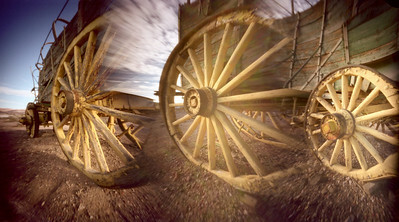 The "WPPD 2009" Galleries are support for a workshop given on April 26, 2009 - Worldwide Pinhole Photography Day, 2009. Each gallery features images from a different pinhole camera. Some of the images are included to show the characteristics or features of the cameras and not necessarily because they are "fine art." A lot of the images are from around my house and from the local Clark County "heritage" Museum. If you peruse all associated galleries you will probably be sick of pictures of wheels, old wagons and the swing in my back yard! For specific details about each camera, such as focal length, fstop, construction, usage, etc., you should google the camera name. In must cases there will be plenty of information and sample images. The links google give you will be more current than what I might list here. (b) Film is your friend. (c) The exposure is not complete until the film has been advanced. "Intricate Cage" The film for this image was shot at the Clark County "Heritage" Museum, Henderson, NV. An Abelson Scopeworks "Omniscope" camera was used to shoot through a "Prisoner Cage" on display in the ghost town. The resulting 2.25" x 7" negative was scanned and then Photoshopped to death. 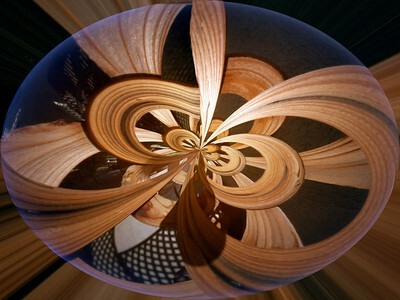 The last step is to use the Polar Coordinates filter to wrap the ends together. 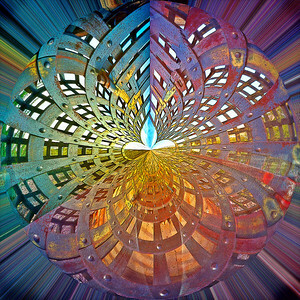 "Wheels of Time" The Abelson Scopeworks Hexomniscope camera was used. 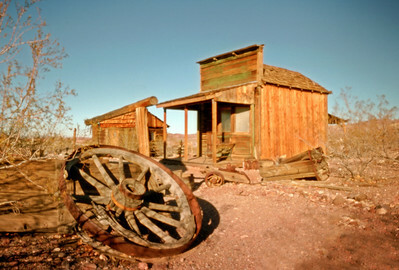 Individual shutters were selectively used to merge these old wagon wheels. Clark County Museum, Henderson, NV. "Lovell Canyon Juniper" Lovell Canyon is an hour's drive west of Las Vegas, NV. 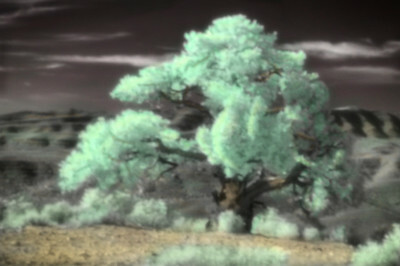 A Nikon D300, modified for dark infrared sensitivity, was used to capture this image through a body cap pinhole. "Hand" coloring was added with Photoshop. "Garden Trellis" The shadow area in the lower left shows what the original subject matter was: a simple, crosshatched, garden trellis. An Omniscope pinhle camera was used to take this image's negative. The medium format negative was scanned and Photoshopped. While the original negative was a distorted image, when the Polar Coordinates filter in Photoshop is applied this bizarreness results.